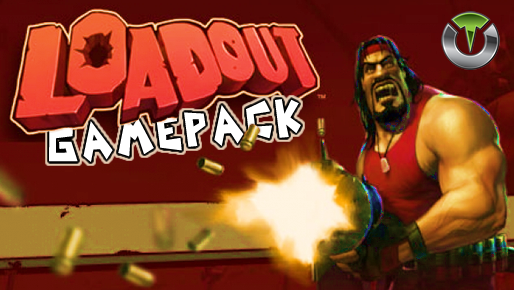 Loadout Gamepack for Titan One. When rapid fire is enabled, you can turn virtually any semi automatic weapon into a fully automatic weapon. This creates a very unique advantage for players using semi automatic weapons in the Loadout game. While rapid fire will not usually make a fully automatic gun shoot any faster, it can have positive side effects on fully automatic guns such as reducing recoil, helping players conserve ammunition and achieve more headshots. With symmetric adjustable rapid fire you can always get the optimum firepower for your favorite weapon. See the menu system instructions above for more information on how to adjust your rapid fire speed in this mode. The asymmetric rapid fire you can precisely set the amount of time the fire button should be held down and how long it should be released. For example you can set the asymmetric rapidfire to fire for 120ms and wait 90ms for the next firing loop. See the menu system instructions above for more information on how to adjust your rapid fire speed in this mode. The zoom (ADS) disables rapid fire. The zoom (ADS) enables rapid fire. Rapid fire fire will only be activated by fully pressing the fire button. When you press the fire button your character will immediately jump and begin firing. This action is not performed if the zoom (ADS) is activated. When you press the fire button, your character will begin to make side movements and begin firing, confusing the enemy in the process. This action is not performed if the zoom (ADS) is activated. When you pull the fire button, your character will automatically use the scope (ADS). This is useful for single shot weapons, decreasing the spread effect and increasing accuracy in combat. This action is not performed if the zoom (ADS) is activated. Symmetric and Asymmetric are adjustable.